Learn more about these popular dental restorations that improve the health of your smile. Has our told you that you should get a dental crown? Need to undergo root canal therapy? There are many reasons people turn to dental crowns, ranging from mending a broken tooth to completing root canal treatment. Here at Crystal Lake Dental Care in Crystal, MN, family dentist Dr. Kimberlee Murphy commonly uses crowns to fix smiles and improve patients' oral health. Read on to learn more about this restoration and whether it’s right for you! 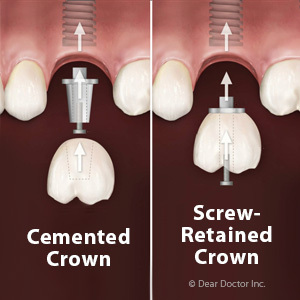 A crown is a hollow tooth-shaped restoration that is designed to fit over the tooth all the way to the gum line. It can be used for both restorative and cosmetic purposes. A dental crown is also cemented into place to create a protective barrier around the visible part of the tooth that sits above the gums. 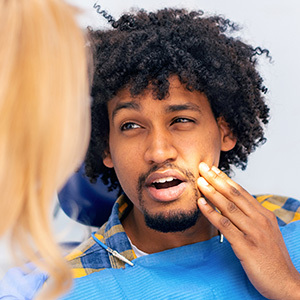 1st visit: This is when we will examine your mouth and take x-rays to check the roots of the tooth to make sure that further treatment isn’t necessary. We will also reshape the tooth and prep it for the dental crown. Once the tooth is shaved down, we will take impressions using a special mold. An outside dental lab will then use these impressions to help create your custom dental crown. 2nd visit: This is where we check the fit and color of your crown to make sure that it’s just right before we cement it permanently into place. 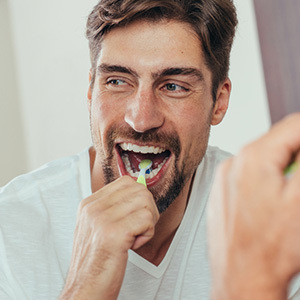 Making sure that you maintain good oral hygiene is paramount to a long and healthy dental crown. With proper care, a crown could last up to 15 years (or more). Do you want to sit down with our family dentist and discuss whether dental crowns are the right approach to improving the appearance and health of your teeth? If so, call Crystal Dental Care today at (763) 537-3655 to discuss your dental options.